Imagine turning prospects into paying clients in just one phone call. Learn the steps to perfect your process for holding sales calls that convert leads to cash. Are you confidently able to walk your prospect through the journey of problem to you, for solution? Sales calls are not a numbers game. What if you had everything needed to conduct all your future sales calls from a place of confidence, clarity and conversion? Learn how/why to properly qualify your leads and confidently prepare for your call. Walk step by step through the elements of a sales call crafted to close your potential clients. Learn how to increase your odds at closing via email, or the next steps in on-boarding your new client! “I’m scared of not knowing the ‘perfect thing’ to say.”"
All their concerns had one common element, they lacked a sales call strategy 🙆🏽‍♀️. An easy to execute process they could repeat over and over again! To date, with this process I have closed 100% of my sales calls. Connecting with clients and converting sales is as easy as 1-2-3, and now you can do it too! For coaches and other service based businesses, the sales call is one of the most critical elements for creating new opportunities. You can create an amazing product, program or signature service, but if you can’t communicate its value and close the sale, it’s worthless 🤷🏽‍♀️. 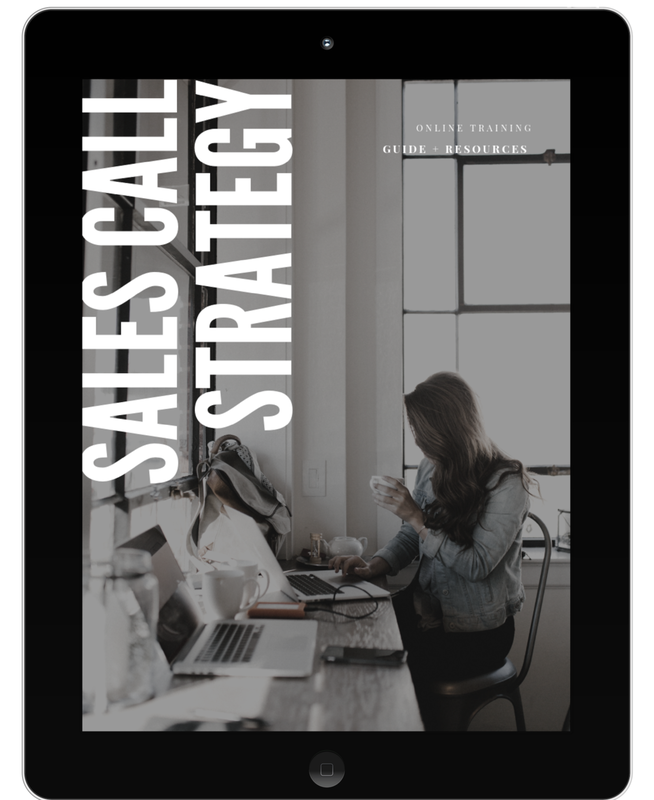 Sales Call Strategy guides you step by step through turning prospects into playing clients. No more all over the place calls, no more losing your focus, and no more warm leads turned cold! You’ll get my crazy successful (and easy to implement) 3 Step Process for sales calls that convert. This training goes beyond simply what to say on the phone. We start all the way from square one, before you ever speak to your client. Never again will you feel unprepared or unsure — in fact you will go into every future call from a place of authority. collecting information and further positioning yourself as the solution. No more guessing! In one click, you’ll get everything you need. There’s no need to reinvent the wheel, when you can use my process, outline and elements as a baseline for creating your very own. Custom notes pages to help you highlight important details about the sales call process. A list of over 20 Qualifying Questions to strengthen your pre-screening process. A fully customize-able sales call script for a 45min call to help jump start your process now! An in-call checklist + worksheet to help your call flow and provide a place to record key client info. A follow up email series templates to handle objections and requests for more time. A post call review to help you further refine and perfect your sales call process. But wait?! 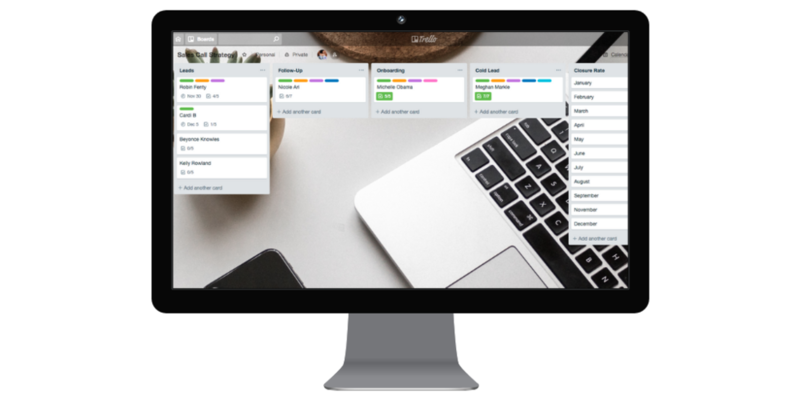 What about Trello?! With this addition to your package, ALL the guesswork is removed. You are ready to flawlessly execute your new sales call process. Sign up now for one payment of $87 before the price increases to $197. ✓ 1. The complete 3 Part Process for closing sales calls ✓ 2. Every resource you could possibly need to develop your process ✓ 3. 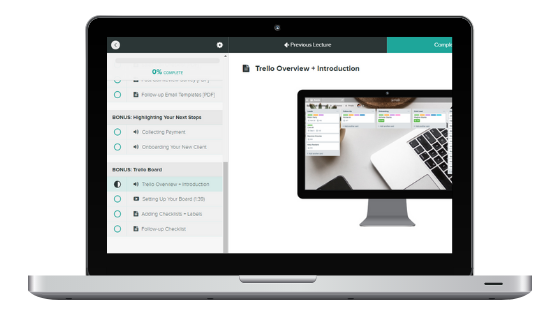 A done for you system for tracking leads ✓ 4. PLUS: Mini audio lessons on insights + best practices for collecting payment AND on-boarding your new clients! GRAB ONE OF THE $87 SPOTS TODAY! I’ll see you inside Sales Call Strategy 💃🏽!